Our firm experts specialize in workers’ compensation, motor vehicle accidents, and dealing with a multitude of injuries that can happen in the workplace. Listed below are some of the most common types of injuries that we have successfully negotiated large settlements for our clients. Listed below you can find a short description of the types of claims we can help you with. Click any link to read more in depth about each subject. Daily, workers are exposed to the risk of an on the job injury. On the job injuries can occur in a variety of ways including , unsafe workplace conditions, intentional misconduct or simply by accident without fault. However, workers are often at fault for their own injuries. Regardless, when the accident, injury, or illness is a result of conditions outside of your control, you may be eligible for workers’ compensation benefits. In fact, an event or actual accident is not required to establish an on the job injury. Often, work related injuries arise out of repetitive motion or the simple worsening of one’s condition over time. A pre-existing condition does not prevent the possibility of a workers’ compensation claim. Not surprisingly, dealing with an on the job injury can be a trying and difficult experience. Whether you are the injured worker or the employer/insurer, the experts at Bobe & Snell are here to assist your needs. Injuries resulting in permanent disability can be considered catastrophic. Catastrophic claims lift the statutory limits on both disability and medical benefits. 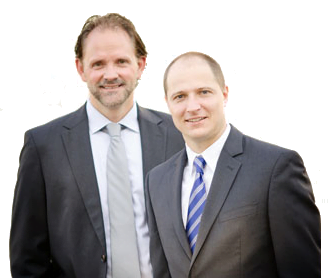 Due to their serious nature, catastrophic claims are best handled by workers’ compensation experts like Bobe & Snell. Each day, Georgia workers’ are exposed to the risk of a slip and fall accident by simply performing the daily requirements of their job. Unlike premises liability, negligence is not an issue in workers’ compensation claims. Let the experts at Bobe & Snell protect your rights and pursue or defend your interests. In Georgia, construction accidents are one of the most common and potentially the most debilitating cause of injury. Often construction accidents are ignored by the employer. As a result, experts like Bobe & Snell can provide you with the advantage and representation needed to pursue or defend your claim. Dependents of fatally injured workers are entitled to benefits under the Workers’ Compensation Act. Don’t lose those those benefits. Call Bobe & Snell now. Spinal cord injuries are one of the most life altering injuries that anybody can sustain. Spinal cord injuries affect the way of life for entire families as these injuries often cause paralysis, as well was other serious medical issues. The impact on spinal cord victims and families is overwhelming not only because of the physical and psychological changes, but spinal cord injuries can additionally cause a financial strain on families. Due to the nature of spinal cord injuries, the injured worker may be entitled to additional benefits such as home modifications, in home care and a wheelchair accessible vehicle. If you are in need of securing the workers’ compensation benefits that you require for your spinal cord injury, contact Bobe & Snell today. Workplace accidents often result in injuries to the a worker’s back and neck. These injuries should be taken seriously as they can result in a permanent disability and prevent the injured worker from returning back to gainful employment. In addition, back and neck injuries require immediate medical attention. Workers’ compensation back and neck injuries do not need to be a result of a specific workplace trauma, back and neck injuries can be caused by repetitive activities at work. If have injured your back or neck at work, you are entitled to workers’ compensation benefits. To better understand, call Bobe & Snell today. Head and/or brain injuries can not only be life changing but they are often denied or under treated by workers’ compensation carriers. Often times, these injuries are subjective complaint drive. That subjectivity can lead to claim issues regarding the need and scope of your treatment. To ensure that you receive the appropriate care, call Bobe & Snell to protect your claim. Georgia does not recognize all psychological claims under the Workers’ Compensation Act. In order for a psychological claim to be accepted as a Workers’ Compensation injury in Georgia, the psychological condition, such as depression, must be accompanied by an underlying work related physical injury. To address your concerns and speak with an expert, call Bobe & Snell. An injury does not need to be caused by a specific traumatic event for the injury to be deemed a compensable workers’ compensation injury in Georgia. Performing repetitive activities and the same type of motion everyday at work can result in repetitive use injuries such as carpal tunnel syndrome. An employee who sustains injuries caused by repetitive activities is entitled to workers’ compensation benefits. As experts in this field, contact Bobe & Snell to learn more about repetitive use injuries. In Georgia, an injured worker may be entitled to workers’ compensation income benefits which are broken down into four distinct categories; Temporary Total Disability Benefits (TTD), Temporary Partial Disability Benefits (TPD), Permanent Partial Disability Benefits (PPD) or Death Benefits. Depending on your injury and unique circumstances, you may be entitled to one of these weekly benefits. The weekly benefits are equate to two-thirds of the injured workers’ pre-injury average weekly wage up to the maximum of $525.00 per week for TTD and PPD benefits. Please be aware that an injured worker is not entitled to any recovery for pain and suffering for a Georgia workers’ compensation claim. To learn more about how we can help you secure your workers’ compensation income benefits, contact the law office of Bobe & Snell. An injured worker is entitled to medical treatment which is to be furnished by the employer for the work related injury. The employer is required to post a panel of physicians in the work place and the injured worker is required to treat with a physician listed that the panel. Often times the employer does not have a posted panel of physicians or if they do, it is sometimes not valid. If that occurs, the injured worker has other viable options for treatment. To learn more about how we can help you secure your workers’ compensation medical benefits, contact the law office of Bobe & Snell.